Rushero — An on-demand delivery service that deliver items in under 60 minutes anywhere in Phnom Penh. TosJis — A public transport app that provides real-time updates on buses, and the ability to plot own routes to aid commuters. They look to put GPS trackers on all buses to provide instant and accurate arrival and departure times. 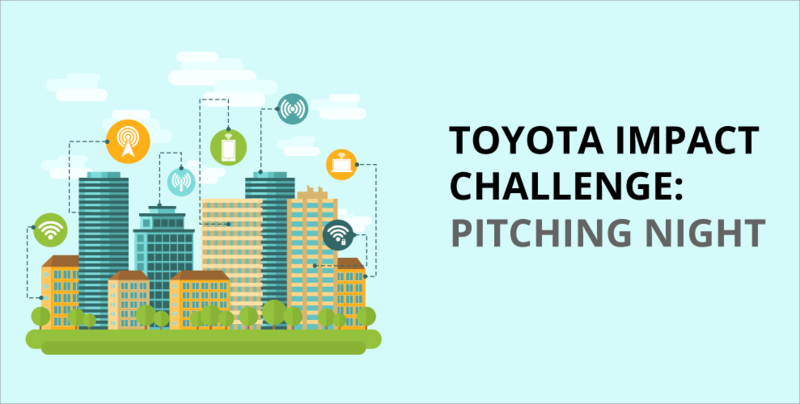 Collaborations with tuktuk companies to fetch users to complete their last-mile will reduce not only car and motorcycle congestion, but pollution. Smart Bin — An incentive-based business idea where users are rewarded for recycling their plastic bottles and cans in exchange for points that will enable credit and discounts. The team has already developed a prototype that is powered by solar energy and have big prospective partners in the line-up for their prototype testing happening soon. Sarath Uch, founder of Rushero, was excited about reaching the incubation stage. Congratulations to the Top three winners that can look to a six months incubation programme, personalised mentoring, free workspace and a chance to win $10,000 cash funding for their startup in the final pitching happening in January 2019.
iPromise — The first app in Cambodia that allows drivers to track their driving speed to promote road safety in return for car or life insurance discounts. When an incident occurs, the app notifies emergency services and their assigned relatives immediately. JisDer — An app that encourages car and motorcycle pooling to reduce traffic congestion in Phnom Penh. ABike — A bicycle rental service for as little as $1/hr which promotes a healthier way of commuting the city. It hopes to encourage cycling, a cheap and easy financial option fitted for everyone’s needs. 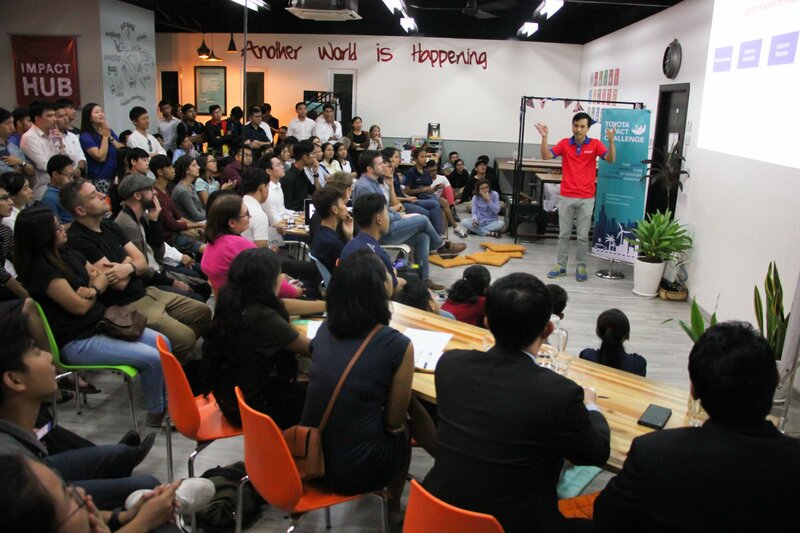 The three non-finalists will receive the opportunity to opt into the Impact Hub Phnom Penh’s Hub Entrepreneurs Club where they can receive support and feedback regarding their business ideas. Olivia Hough, Managing Director of Impact Hub Phnom Penh expressed her confidence with the growing startup scene in the Transport & Environment sector. The event had an overwhelming response of 140 attendees, and a panel of judges consisting of Bunhay Ly, General Manager of Toyota Cambodia, Kounila Keo, Managing Director of RedHill Asia (Indochina), Sovann Kong, Road Safety specialist & Founder of CaMSafe, and Nithya Menon, Firmware Engineer at Okra Solar. 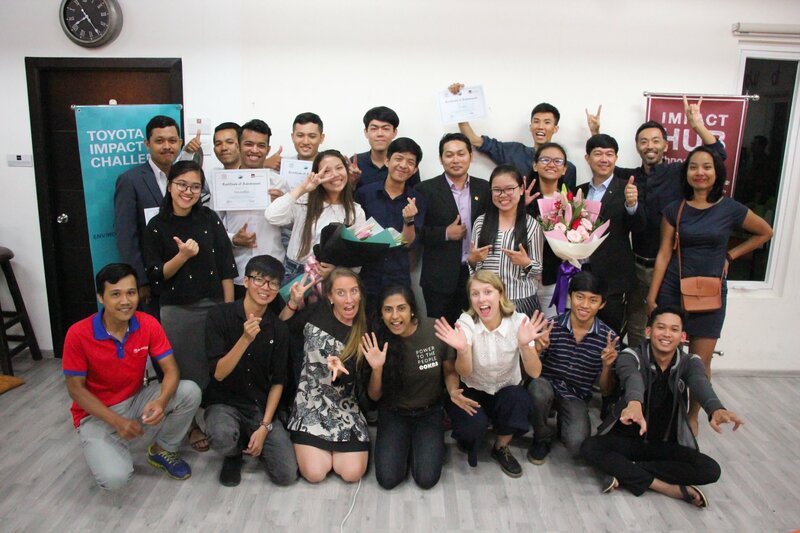 Geeks In Cambodia would like to wish the three finalists all the best as they continue refining and working on their business ideas for the final pitch in January!